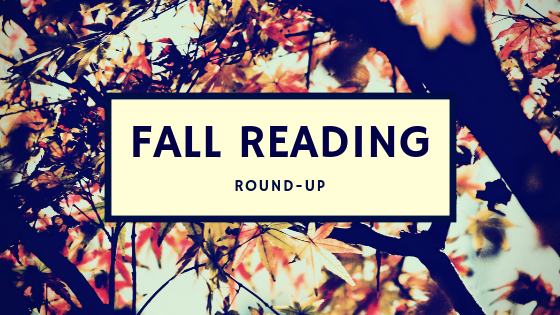 Due to circumstances far beyond my control (namely the birth of a nephew in October that no one knew was coming until the end of September and my father's heart attack last month), the time I had available to read this fall was limited. I would apologize for it, but things happen, right? Right. Here's the list of the few books I was able to get through in the last three months - and yes, the list is sparse on the cover art. Sorry. One of my reading goals for the latter half of 2018 has been to dig into classic science fiction, so I started with the infamous alien invasion tale known as The War of the Worlds. I have a lot of thoughts about this story, but it's more than a blog post can fill so I'll leave it for now at being a story I enjoyed. A second goal was to get through more professional development books, like this one. I haven't had a chance to apply what I've learned from this one yet (again, thank you life events that dig into valuable reading and writing time), but I do feel like this one has been invaluable and worth the money I spent at the end of the summer picking it up. My third reading goal for the latter half of the year was to start reading more indie authors, and this novel (as well as the last one on the list) falls in that category. I really enjoyed this first in a series YA scifi novel about a young woman with the ability to see the truth searching for her kidnapped sister. Click on the link above to get my full thoughts on the first novel in the Aces High, Jokers Wild series. So, we all know my fall has been a bit crazy and I haven't gotten all the reading I wanted to do done, but what about you? Have you read anything in the last few months that you would recommend? I'm trying to decide what I want to try to read in 2019, and I'm completely open to suggestions. Just let me know in the comments below.